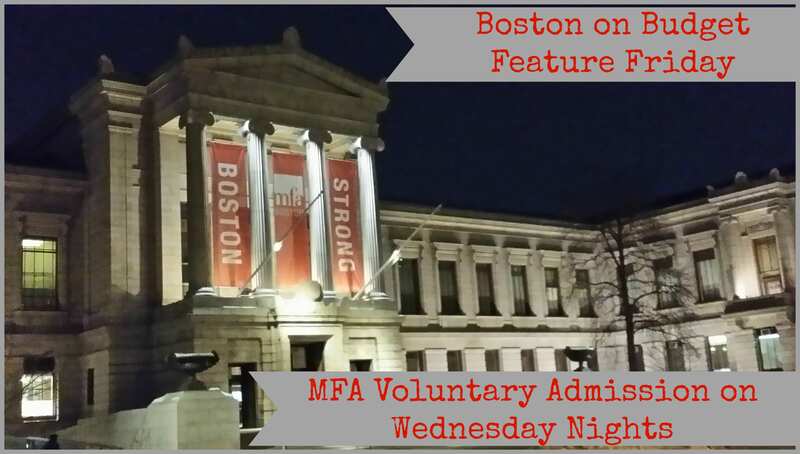 Feature Friday: MFA on Wednesday Nights! Admission to the Museum of Fine Arts is by voluntary contribution on Wednesday nights after 4pm. You do need to head to the ticket stand/cashier upon entering to receive a ticket, and you will be asked if you would like to contribute to the museum. However, you can contribute how much or little as you’d like. The MFA also has a few free museum days each year with the next one on Memorial Day. The MFA Free Days can be found here. The MFA is also free to Bank of America cardholders (per cardholder- not family) the first weekend of every month when you show your BoA bank card. Youths 17 and under can also receive free admission weekdays after 3pm, weekends, and Boston Public School Holidays! Admission is free this weekend if you voted in Boston Loves Impressionism: http://t.co/omn4EN9j2v. See the exhibition you created. 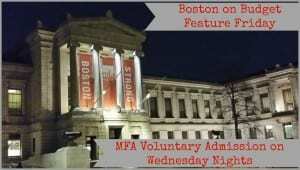 To find more discount admission for the MFA and other Boston attractions, please head here. Have you been to the MFA lately? What is your favorite exhibit or area to visit?